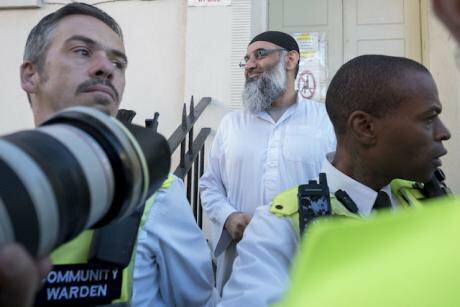 Anjem Choudary outside a bail hostel after his release from Belmarsh Prison. David Mirzoeff/ Press Association. All rights reserved. The radical preacher Anjem Choudary was released early on 19 October from Belmarsh high-security jail in south-east London, having been moved there from Frankland prison in Durham, north-east England, where he had served two years and nine months for "inviting support for a terror group", in this case ISIS. (The full sentence was five and half years, but after half of this term the prisoner is entitled to be freed on parole). Choudary’s financial assets have already been frozen, and he is being placed under strict conditions aimed at blocking him from proselytising anew for extreme Islamist movements. Before his arrest and sentencing, Choudary, who has a law degree from Surrey University, was widely regarded as one of the most effective preachers in support of such movements. He was active for the best part of twenty years, yet avoided imprisonment by being very careful in what he said. His legal background was part of the reason, but so was his subtlety in implying a message rather than explicitly declaring it. Within the UK, the police and security agencies regarded him as one of the most effective and dangerous influencers in the country and there was considerable relief in those circles when Chaudary went just too far in his support for ISIS after it had been declared a terrorist threat. This fear of his abilities does much to explain the severity of the post-custody restrictions placed on him. The financial controls mean that Choudary's opening a bank account or moving money will immediately alert the relevant monitors. In addition he will be banned from preaching, as well as even attending certain mosques, be supervised in any use of the internet or internet-enabled systems, be confined to a single phone, need approval of the people he meets, and permission to leave the UK. This license lasts until July 2021 and for the first six months he will live in a probation hostel. Any deviation from these and other controls will likely ensure his return to prison. Interestingly, Choudary’s behaviour in jail appears to have been such that this release under licence could not easily be avoided. But the belief remains that his behaviour in prison simply represents the continuation of his previous skilful conduct, which enabled him to avoid arrest and trial for so many years. News of his imminent release has provoked much analysis of where Choudary fits the wider dynamic of Islamist radicalisation in Britain, in terms both of current realities and possible and future trends. The standard official view in the UK might be expressed as a single proposition with two elements: recognition that the overwhelming majority of Muslims are strongly opposed to an extreme minority, but awareness that the latter continues to pose a threat to internal UK security. Since the 7/7 attacks in London in 2005, the UK counter-terrorism system has undergone a huge expansion. It now involves more than 12,000 police, MI5, home-office personnel and other parts of the security system engaged full-time in "CT" work. While the great majority of this expansion has been concerned with Islamist elements, officers are also involved in tracking animal-rights activists, Northern Ireland radicals, and (in sizeable numbers) far-right groups. 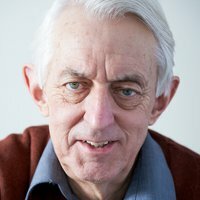 Independent analysts tend to think that the UK system is probably the most efficient in western Europe in countering Islamist extremism once it is manifest, though there remain many criticisms of programmes such as Prevent which are intended to operate at an earlier stage in the cycle. What is noticeable, however, and particularly evident in the media discussions prompted by Choudary’s release, is that the focus is on identifying what is seen as extreme radicalisation. However, scarcely any attention is paid to the much wider context. It is almost as though some "cancer" exists in the UK and the rest of Europe that is entirely isolated from western policy and the wars in north Africa, the Middle East and south Asia. An earlier and quite remarkable example of this was the absolute insistence by the Blair government in 2005 that the London attacks had nothing whatsoever to do with the war in Iraq. Furthermore, this insistence was maintained even when a video of one of the suicide-bombers was released in which he made the connection manifestly clear as a motivation for his actions. In the immediate aftermath of those attacks, radio and TV stations frequently broadcast the views of young Muslims. The almost universal response was strong condemnation coupled with an insistence that Islam was a religion of peace, coupled with a reminder that the victims included Muslims. But a few people also went on to point out that the death toll of fifty-two people on 7 July 2005 was about the same as the daily number killed in Iraq thanks to western intervention. That may not have been what most people in Britain wanted to hear, but at least the war was getting considerable media coverage, in turn ensuring that the connection could be made (see "The wrongs of counter-violence", 20 January 2017). Today, though, the situation is very different. The limited media coverage of the wars in Iraq and Afghanistan means that there is a persistent disconnect between these conflicts and domestic threat levels. The common mindset is that for reasons associated with the very nature of Islam, young people get radicalised: both a superficial conclusion and a comforting one, for it implies no relationship with the Middle East and south Asia. In short, there is scarcely any understanding that ISIS and similar movements have been preaching through all available channels, and especially through the new social media, the key message that it is the west that is assailing Islam. This may involve huge exaggeration, recourse to gross depictions of violence, and demands for retribution. But it is also an idea which is so much easier to promote when, over the past four years alone, the Americans, British, French and other western partners really have killed at least 70,000 people (see "Iraq war and ISIS: the connection", 29 October 2015). Moreover, the west can be blamed more generally for close to two decades of war across the Middle East, north Africa and south Asia, with hundreds of thousands of people killed and millions displaced. It is not surprising that the mantra of "Islam under attack" remains so compelling. Such a view counts for nothing among the great majority of people across the western world, for whom the "war on terror" can be readily reduced to right vs wrong or good vs evil. Indeed, anyone even proposing an alternative to this narrative invites being labelled a weak-minded, self-flagellating liberal. Perhaps that is not surprising, but what is dismaying is that even senior specialists in police forces and security agencies, people with many years of experience, are largely unable to grasp the larger views in circulation and their own disconnect. In these circumstances, a wider and more aware public discourse can hardly be expected. But that is exactly what is required if we are to avoid many more years of instability and violence.